"A comedy about the fine art of losing." The ultimate poker tournament is set in place and the players are as different in character as night is different from day. Each character is ready to do whatever they have to in order to win the tournament, even if this means cheating or going to similar extremes. Some characters end up hating each other and some characters end of falling in love with other. As the tournament comes to a close, the characters must become serious, put their game faces on and take every moment seriously. They are all in need of the money, which is the prize, and they all do not want to leave empty handed. Some leave shaking hands with each other, some leave with tears falling down their faces and some leave the same way they came in. 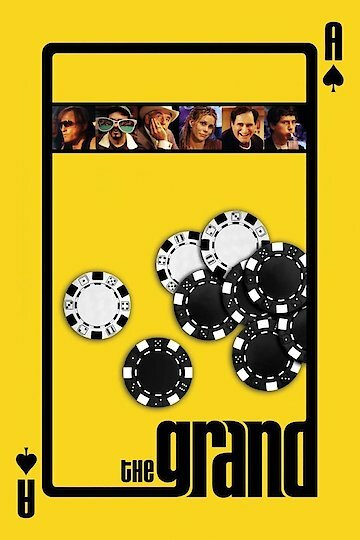 The Grand is currently available to watch free on Tubi TV and stream, download, buy on demand at Amazon, Vudu, Google Play, iTunes, YouTube VOD online.